When I was a kid in Kitimat, for the sake of this argument let’s say it was 1960 and I was ten, my friends were all abuzz. “John Wayne is in town,” says one friend. “No way,” says a second. None of my friends ever confirmed that “the Duke” had come into town. 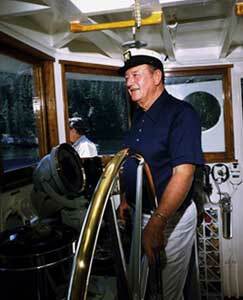 The adults did say that “everyone knew” that John Wayne had come up from Vancouver Island, gone to Kitamaat Village, hired a Haisla guide and then had gone fishing on Douglas Channel. There’s a secret economy in northern British Columbia. The movie star economy. For more than a century the rich and famous have been coming to northern BC to fish and to hunt and to hike. Sometimes the stars and the millionaires are open about their stay. More often they slip in and no one is the wiser. One of the lodges along the coast that caters to those members of the one per cent who like to fish, hunt, kayak or hike is Painter’s Lodge in Campbell River. On its website, Painter’s Lodge proudly numbers among its previous guests John Wayne, Bob Hope, Bing Crosby, Susan Hayward, Julie Andrews and Goldie Hawn. The King Pacific floating lodge also has movie stars among its guests each summer, and CEOs and billionaires, not just from the United States but around the world. King Pacific is well known for its tight confidentiality policy to protect the identity and privacy of its guests. Not all the rich and famous opt for the well-known luxury resorts. They slip in to the north incognito. Perhaps they drive up Highway 16. These days if a movie star’s private jet lands at Terrace Kitimat International Airport, that jet would be unnoticed among all the other private jets coming and going with energy executive passengers. A guide’s van waits close to the landing area, the star walks, unnoticed, from the plane to the van, and disappears into a small, but comfortable, lodge somewhere in the bush. A float plane lands at a secluded cove or near a river estuary. The man who gets out, unshaven, in jeans and a checked shirt could be an Oscar winner or one of the world’s successful entrepreneurs or even one of the exploitative Wall Street one per cent. Perhaps even a top of executive of a major energy company. The guide will never tell. That’s part of the business. The prime minster, with his masters degree in economics obviously doesn’t get it. What’s wrong with a national park that supports thousands of jobs? So let’s add up the jobs. Enbridge’s official estimates say Kitimat will get between 30 to 40 permanent jobs from the bitumen terminal. (Other documents filed with the Joint Review say 104 permanent jobs). At the moment, Cenovus imports condensate to Kitimat, processes it at the old Methanex site and ships the condensate by rail to the Alberta bitumen sands. That means, according to local business leaders, that when the current Cenovus jobs are absorbed by the Enbridge project, Kitimat may get as few as 25 net jobs. The jobs along the pipeline route, at least from Prince George to Kitimat, you can probably count on the fingers of one hand. The temporary construction jobs will be in the northwest for a couple of years and then they’ll be gone. Now what about the movie star economy? It’s been supporting British Columbia for a century. Seven luxury lodges belonging to the Oak Bay Marine Group. King Pacific Lodge. Other smaller, luxurious lodges that aren’t as well-known or publicized. Hundreds of small lodges up and down the BC Coast, along the Skeena River and the Nass. The lodges and resorts at Babine Lake, close to the pipeline route. Then’s there’s the tackle shops, ranging from mom and pop operations to all those Canadian Tire stores in the northwest. Guides and outfitters. Campsites. Gas stations (yes people up here drive using gasoline). Restaurants. With the Harper government’s message control, and its unfortunately brilliant political tactics, Northern Gateway is no longer an argument about jobs and pipelines. For conservatives, the pipeline debates are now a litmus test of ideological purity. Facts don’t matter. That latter statement is the now consistent refrain among the idealogues, the answer for them to why Chinese and American energy money is acceptable but money from American or other environmental foundations isn’t acceptable. And it’s false. An oil spill, whether from a tanker or a pipeline breach would destroy thousands of jobs in northwestern British Columbia. For Wente to say that environmentalists don’t care about oil spills, simply shows she is so narrow minded that she doesn’t read the news pages of her own newspaper, much less doing some real reporting and reading the transcripts of the Joint Review Hearings where up until now all the testimony has been about safety matters and oil leaks. So who produces more jobs in northwestern British Columbia? Movie stars? The Alberta oil patch? Answer: the environment, the fish and the wilderness create the jobs. The movie star economy creates the jobs. So movie stars. Come on up. Your secret is safe with us. Enjoy the fishing. (And I’ll bet that if John Wayne, American conservative, and life long fisherman, were alive today, he’d be standing beside Robert Redford and the other stars who are opposing the Northern Gateway pipeline).